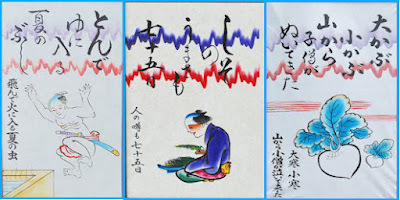 Puns, share-kotoba　しゃれ言葉, were very popular in Old Edo. Dajare is also called "local dialect" jiguchi 地口. In Old Edo, many people from all parts of Japan lived side by side. Puns and playw with words were often used when people met for the first time to break the ice, so to speak, and make them feel comfortable. 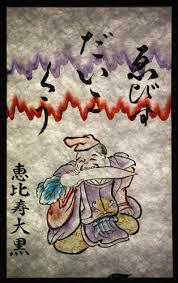 A person who could not tell a good pun was thought of rater dull　(yabo やぼ　野暮), a country bumpkin. 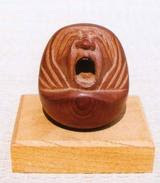 yabo is itself a deformation of the word　「野夫」 a worker from the countryside. Kishibojin is the deity of a famous temple in Iriya. Ganen was a famous student of Confucius and well known at the temple schools of Edo. famous for this custom to our day ! About 200 meters with the atmosphere of "Old Edo". Denbo-In also has a famous garden. The eyes of a dice, wishing for a SIX to win in gambling. 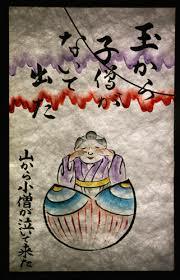 Look at the Daruma on this LINK to see him develop as you read the full poem. Here is a bit more on the ants ARI GA 蟻が play with words. This is all a word joke on ARIGATOO, thank you. 3月9日は「サンキューの日」 Sankyuu　の日　> Thank You ! kono ikura wa ikura このイクラはいくら How much costs this salmon roe? It can’t be helped if there is no salt available. A pun is not dissimilar to the Japanese "pivot-word" (kake kotoba). what precedes, the other to what follows. It is a device not unknown to late Latin and it turns up now and then in English humor and frequently in James Joyce's "Finnegan's Wake." The word 'matsu', for example, is often used in the sense of 'pine' and 'long for' exactly as in the English 'pine' and 'pine.'. . .
"The pivot word shades into the pun, and some Japanese poems have so many puns that they may have two or more quite dissimilar meanings. 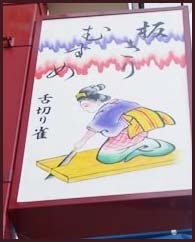 A good example is the poem of the Stewerdess of the Empress Kooka [(Kooka Mon-in no Bettoo) was the daughter of Fujiwara no Toshitaka and lived in the twelfth century], discussed in the notes." My flesh wasted with longing? one meaning to another in the course of a sentence. illustrated. The pivot word is 'yuki,' which performs a different sytactical function in each of the two word groups on either side of it." round testicles were seen like rice bags. White hairs were growing over them so that his important part was hidden. 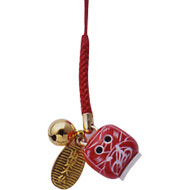 the Golden Pavilion Temple [itching balls].'" test ban treaty in the late 1990s, Matthew Fargo instantly figured out what he meant. The 29-letter word, which loosely means rendering something meaningless, comprises four Latin words ・flocci (floccus), nauci (worthless), nihil (nil), and pili (fur) plus the compound suffix "fication." 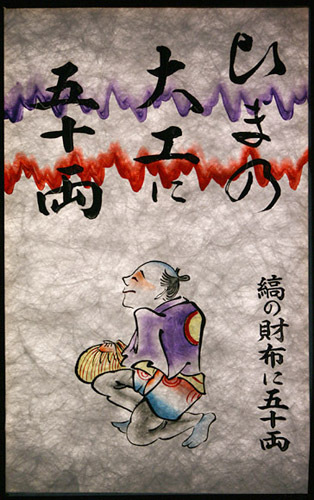 He particularly likes the postwar "buraiha" school of Japanese writers known for their playful humor. He says the stereotype of Japanese as a serious people is a myth and that they are in fact "hilarious." These pictograms are used to make short statements in email. The Japanese ones are quite sophisticated.